Mary Beth Storjohann, CFP® is the Founder of Workable Wealth and works as an author, speaker, and financial coach. 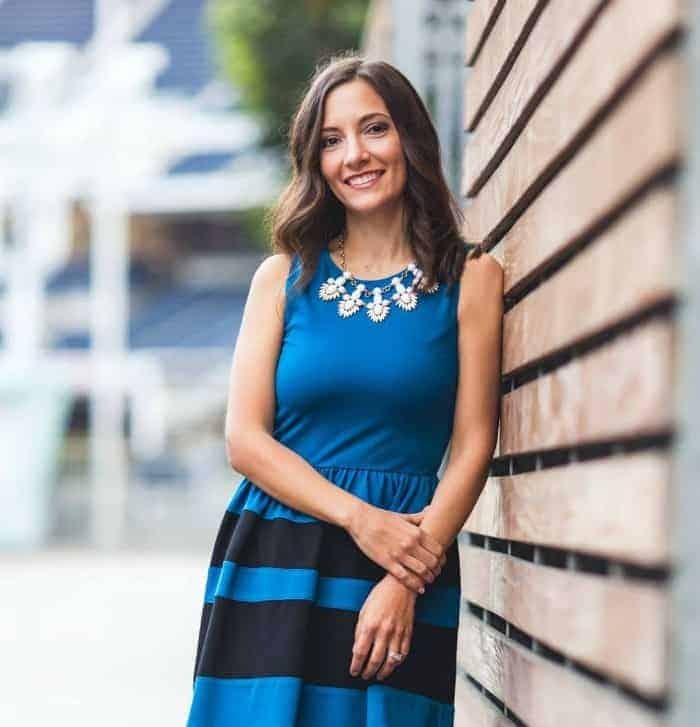 With over 12 years of experience in the financial services industry she applies a fun, albeit no-nonsense approach in working with individuals and couples in their 20s – 40s across the country, helping them make smart, educated choices with their money. Mary Beth makes frequent appearances on NBC as a financial expert and has been featured in major media outlets such as U.S. News & World Report, The Wall Street Journal, Glamour, Women’s Health, Yahoo!Finance and Forbes. Her first book, Work Your Wealth: 9 Steps to Making Smarter Choices With Your Money cuts through the fancy lingo, breaks down complicated topics and provides clear-cut guidance on the money moves you can make to improve your financial situation right now. To connect with Mary Beth, head over to www.workablewealth.com or find her on twitter @marybstorj. 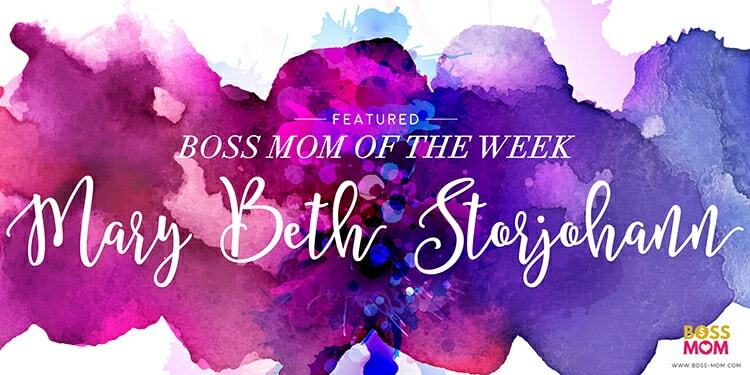 Tell us a little bit about your Boss Mom journey and family. 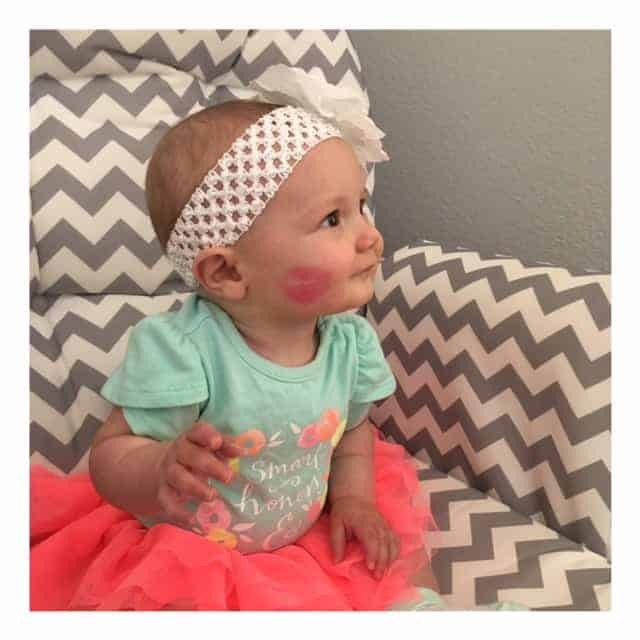 I’m a Mama to one adorable 7 month old little girl, a wife to an amazing and supportive husband, mom to two rescue pups who think they run the household and the owner and CEO of Workable Wealth, a virtual financial planning firm that focuses on helping those in their 20s-40s across the country make smarter choices with their money. I’m a Southern California native and am currently based out of San Diego where I 100% believe you cannot beat the weather. I made the decision to launch Workable Wealth in 2013 while my husband was deployed and haven’t looked back. My passion has always been in helping my generation gain confidence and clarity in their financial lives and it simply wasn’t an available option at any of the existing financial planning firms at the time. It’s been an amazing and humbling journey to get to work with clients all over the country and though I was terrified at the time of launching, I couldn’t have made a better move for my career and my family. I L.O.V.E. crockpot meals. Homemade beef stroganoff has become a big hit in our house (with fresh mushrooms instead of canned soup) and tacos or chicken caesar salad are on an almost weekly rotation. What podcasts, books, or blogs are you currently reading or listening to? I just purchased Rising Strong by Brene Brown and Big Magic by Elizabeth Gilbert. I’ll be honest, with a little one and a full-time business, reading is few and far between. Podcasts are more my jam and I’m currently listening to and catching up on Being Boss, Boss Mom, All Up in Your Lady Business and the Jess Lively Show podcasts. What is one piece of advice that you’d give a mom just starting out on her Boss Mom journey? Be kind to yourself. The biggest thing I see (and I’ve done) is shoulding all over myself. There are *always *going to be 1,005 things to get done. There very likely will never be enough time in the day. Balance doesn’t really exist. Just be kind to yourself and celebrate small wins along the way. Whether it’s hitting send on your weekly newsletter, getting that first subscriber or sale or the fact that you got dinner on the table and the little ones to sleep in an orderly fashion, celebrate those small milestones. Business and mamahood are way more fun when we’re nice to ourselves instead of playing the comparison game. Nobody will look out for you like you look out for you. This is true in business, in life and in finances. We deserve a whole heck of a lot of recognition and to earn top dollar. Are people under direct obligation to give those things to us? No. It’s up to us to look out for ourselves and ask for what we’re worth and take steps to control the things that can and should be controlled. We deserve it and we need to be proactive about looking out for ourselves. Mary Beth’s book, Work Your Wealth: 9 Steps to Making Smarter Choices With Your Money launches March 1st and is designed to help you take control of your money, ditch the financial stress and finally start directing your dollars to the places that you value most so you can have the freedom you need to live a life you love. Connect with Mary Beth on her social media accounts.